Legends of Mount Ida | slate river ramblings . . . . 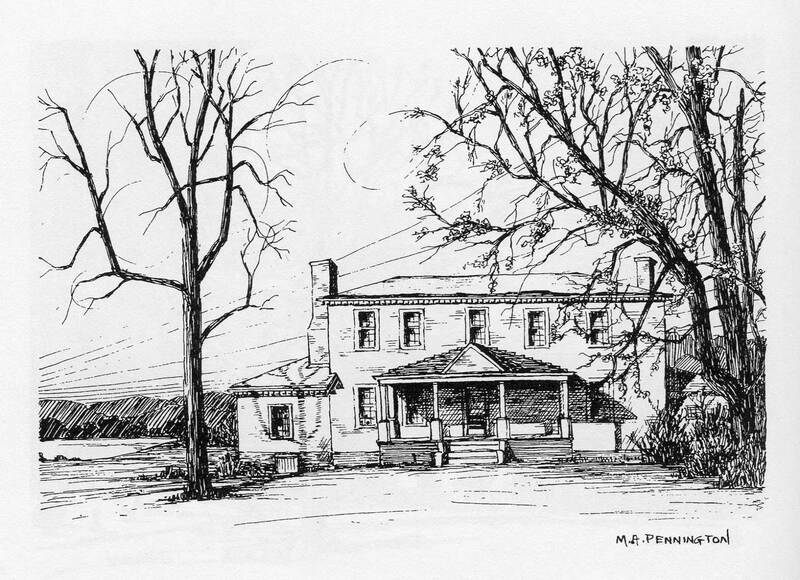 In 1937, when Garnett Williams surveyed Mount Ida for the Virginia Historical Inventory, she preserved two legends. It is said seven men came over from Ireland, who had become involved in some kind of trouble and wished to escape punishment. They came to this home for protection, and it was they who did the lovely carving on the inside of the rooms. One of the first owners is said to have had a very daring son who indulged in drinking. On one occasion he rode his horse in the house and up the winding stairway. What is said to be the print of a part of the house shoe on the steps may still be seen. Mrs. Williams’ informants included Mr. Ben Boatwright, Miss Edna Boatwright, and Mrs. Percie (Piercy), all of New Canton. Can a Slate River Ramblings “informant” comment about the legends of Mount Ida? There must be a ghost, or two…. My husband is William Dabney Leitch, son of William Arthur Leitchave, son of Dabney Leitch, son of William Leitch. My great-grand parents are Walter and Nancy Piercy. My father would tell me stories about Mt Ida. I have photos of he and my grandmother on the front porch. I have enjoyed the postings of Mt. Ida so much. I remember going there as a child. It would have been in the 1940’s and or 1950’s when the Walter Piercy family were the owners. My aunt, Ethel Martin, married their son, Kenneth Piercy, and they lived at Mt. Ida with the family for a while. I remember the legend of someone riding the horse up the steps. I also remember attending a “fish fry” there. My uncle, Alex Martin, and Kenneth Piercy caught a lot of fish in the James River running along side the property and they were cooked outside by the river and a lot of family and friends attended. Also, I remember that on one of my visits to Mt. Ida I saw my first live peacock. It was in the front yard roaming freely. We gave each other a lot of space. I think we were equally afraid of each other. It was a beautiful place and I am so pleased that it has been saved for others to enjoy. Many thanks for sharing your memories of Mt. Ida. I can smell the fish frying! Your Aunt Ethel married my great Uncle Kenneth. I remember eating many meals with them and can still hear her voice. Uncle Kenneth often took us hunting and fishing at Mt. Ida. He would hook the boat & trailer up to the tractor then tow us down to the James. I learned about Mt. Ida when I was about fifteen years old from my Cousin Martha Gary. She married twice: to Mr. Pickett and Mr. Ball–I’m not sure about the order. I was told she was Cousin Martha Gary (born 1899). She related to me that her mother was from Mt. Ida. She was Mildred Fontaine Leitch (b. ca. 1863)–wife of John Ayres Gary. Both had Spencer blood–descending from Moses and Judith Ayres Spencer of Buckingham County, which was the reason for my calling her “Cousin Martha.” Mildren Leitch was the grandchild of Nathan Spencer; John Ayres Gary was a grandchild of Moses Ayres Spencer; and Grandma was the grandchild of Judith Hales Spencer Holman–making them all second cousins. Thank you, Harry, for posting your wonderful memories of Martha Gary and Mount Ida.